Artists generally always like to improve and do something more imaginative and creative than their previous paintings and I'm no different in that respect. I'd done elephant and baobab trees before (the upsidedown tree), but the trick was how to do this in a unique and unusual way I hadn't previously tried. 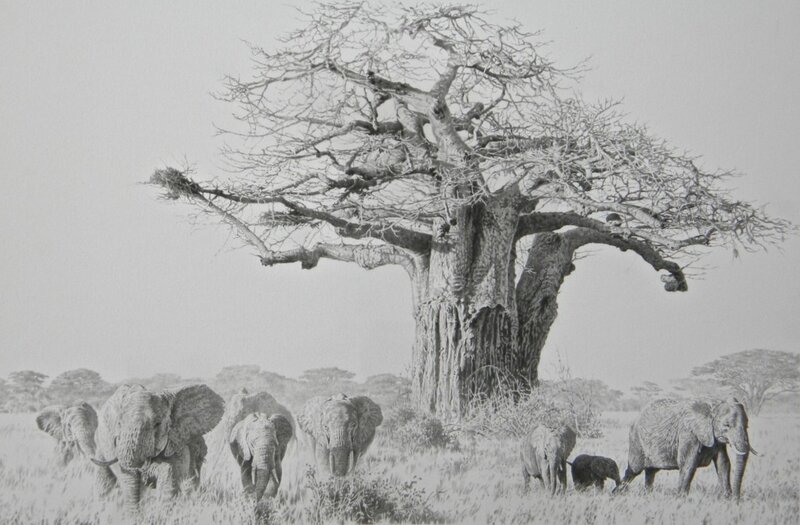 Here, a small group of elephant are determinedly emerging from the bush while the tree itself, already distant, is of such magnitude that it still overshadows them.